A lot of iPhone users have reported that their text messages are randomly disappearing after update to iOS 12/11.3 or other reasons. 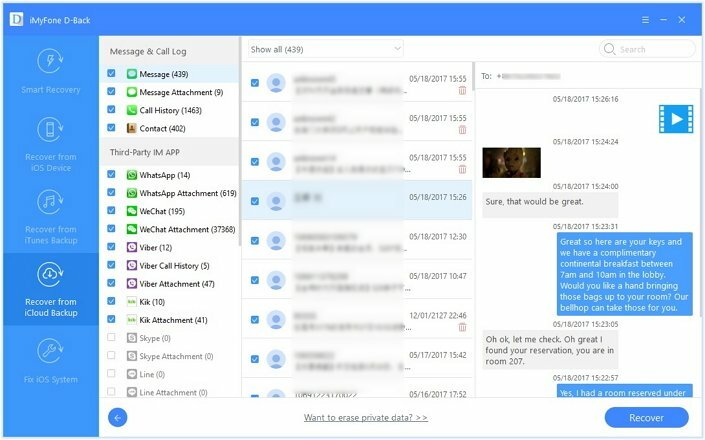 When messages are gone, they are unable to get the messages back on their devices. While it is still unknown why this is happening, a lot of troubleshooting procedures have been fruitless. If you have noticed that your messages on iPhone disappeared, don't worry. Data which disappeared from your iPhone may not vanish forever. Sometimes, they are just marked as deleted and still hidden on your devices. Thererfore, it is possible to recover them. In this article, we will give you some suggestions on how to get disappeared iPhone messages back, even iOS 12/11.3 is running on your iPhone. Keep reading to find out how. 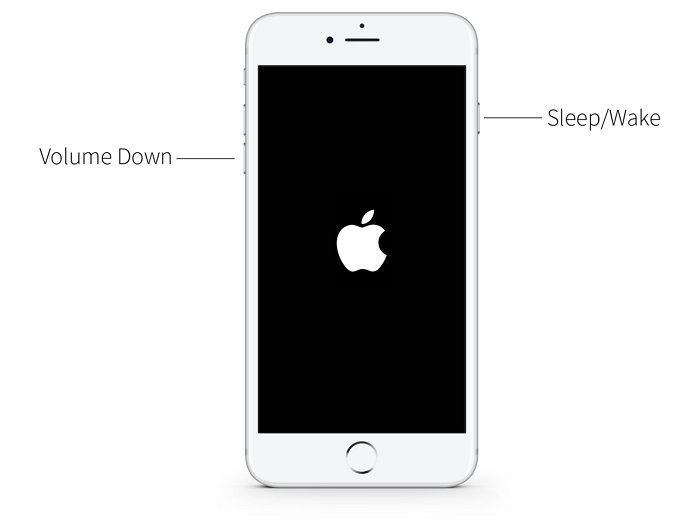 On an iPhone 7 or iPhone 7 Plus device: Press and hold the Sleep/Wake button and Volume Down button at the same time for at least 10 seconds until the Apple logo appears. On an iPhone 6s and earlier device: Press and hold the Sleep/Wake button and Home button for at least ten seconds continuously until you see the Apple logo. On iPhone 8 and iPhone X, press Volume Down button and then Volume Up button. Then keep holding Sleep/Wake button until Apple logo appears on the screen. 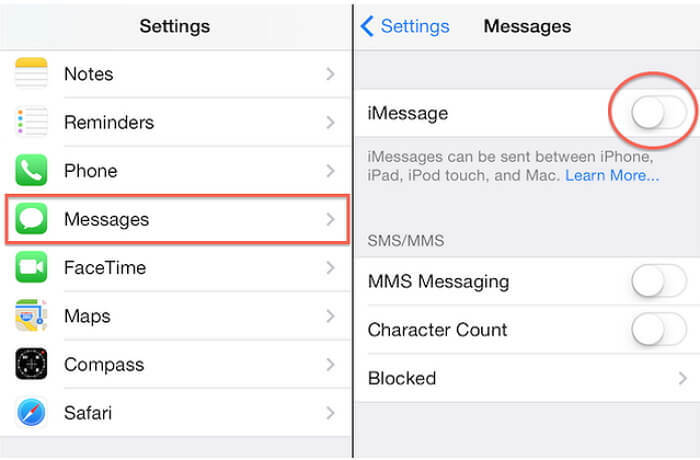 Step 2: If the issue still exists, go to Settings > iMessages to turn it off. Turn it on a few minutes later to see whether the messages you need will appear. If the above solution doesn't work, try our second option. 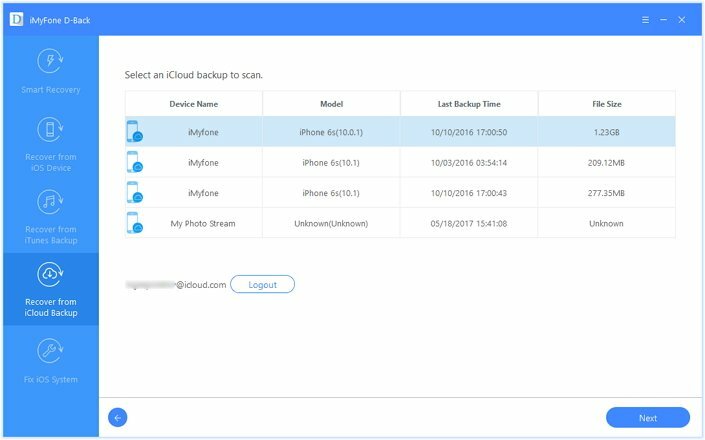 Extracts 22+ types of data from your iCloud/iTunes backup. You can extract photos from iTunes backup, view and extract contacts from iCloud and get more data. 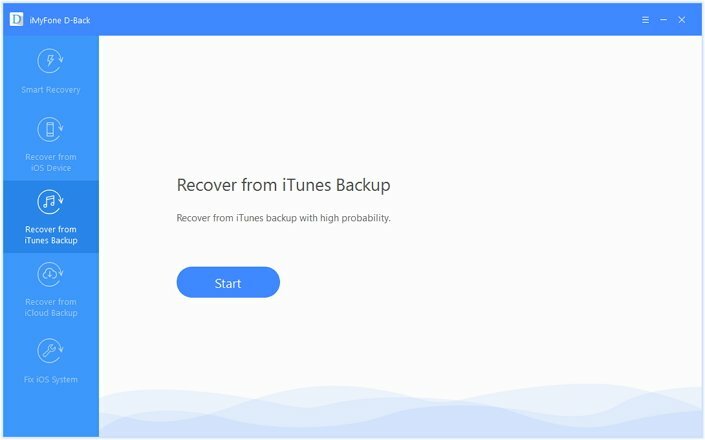 You don't have to restore iTunes or iCloud backup to any iOS device. The data will be extracted to your computer. It can export data from your iPhone for more uses even you are using iOS 12/11.3 on the latest iPhone X/iPhone 8. For example, you can print your iMessages conversations. It is basically a data recovery which supports to recover 22+ types of data directly from your iPhone. This efficient iOS data recovery tool has been recommended by Cult of Mac as a reliable data recovery tool. 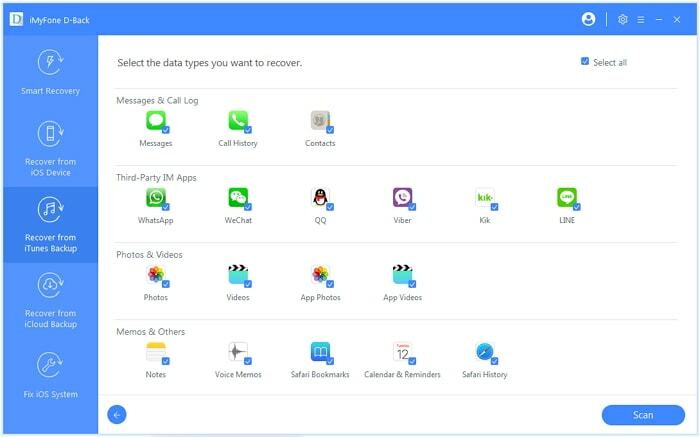 Here's how you can recover disappeared text messages from backup files. But before we begin, you need to download and install iMyFone D-Back to your computer. Once this is done, follow these simple steps to gain access to your backup files and extract the text messages from your backups. Step 1: Launch the program and from the main window, choose "Recover from iTunes Backup" and then click "Start." Step 2: Select the iTunes backup file that likely contains the missing text messages and click "Next." In the next window, select the file type you wish to recover (in this case Message). Step 3: When the scanning process is complete, select the missing text messages from the results displayed and click "Recover." If you have backed up the messages on an iCloud Backup file, follow these very simple steps to recover the messages. 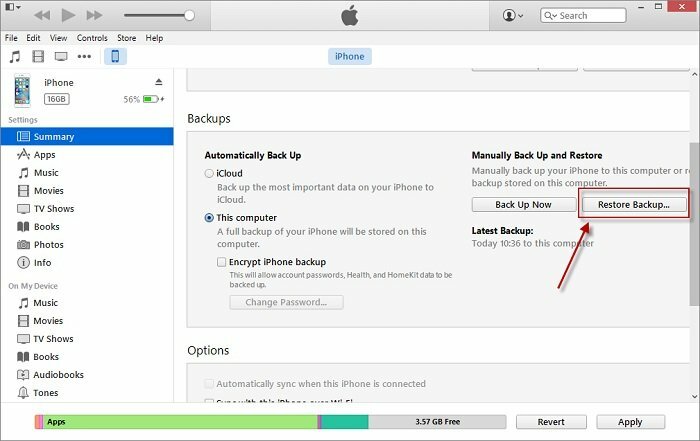 Step 1: On the main window, select "Recover from iCloud Backup" tab and click on "Start." Step 2: Sign in to your iCloud account and in the next window select the iCloud backup file that contains your missing messages. Click "Next" to proceed. The next window will allow you to select the type of file you wish to recover. Choose "Message" and click "Scan" to continue. Step 3: Preview and select the missing text messages on the next window and then click "Recover" to get them back. You can also use your iTunes backup that includes your text messages to restore your iPhone. But please note the existing data will be overwritten in this way. You can refer to the picture below to restore the backup to your device. But note that if you want to restore an iTunes backup made for iOS 11/10/9/8/7 to an iOS device running iOS 12, the method will not help. As explained, the disappeared data may still be on your iPhone, so if you hadn't backed up the messages, there are still some chances that you might be able to use a recovery tool to get them back. There are many third-party tool in the market. 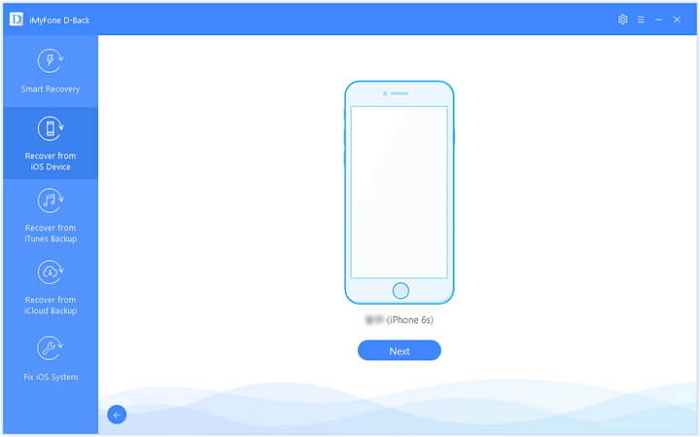 We would like to recommend iMyFone D-Back iPhone data recovery Win or iPhone data recovery Mac (iOS 12 suppported) because it is famous for its high recovery rate in the industry to recover the disappeared data. To begin with, stop using the device the minute you discover that the messages are missing. This is to avoid overwriting the messages and increases the chance that you may be able to recover the messages. Step 1: Launch the program and then click on "Recover from iOS device". Click on "Start" to begin.You will then be asked to connect the device to the computer using USB cable. Click "Next" once the program recognizes your device. Step 2: In the next window, select "Message" under "Message & Call Log" as the file type we want to recover. Then click "Scan". Step 3: Once the program has detected the program, click on "Scan" to allow iMyFone to scan the device for the missing messages. When the scan is complete, find the messages in the recovered files displayed on the next window and then click "Recover." 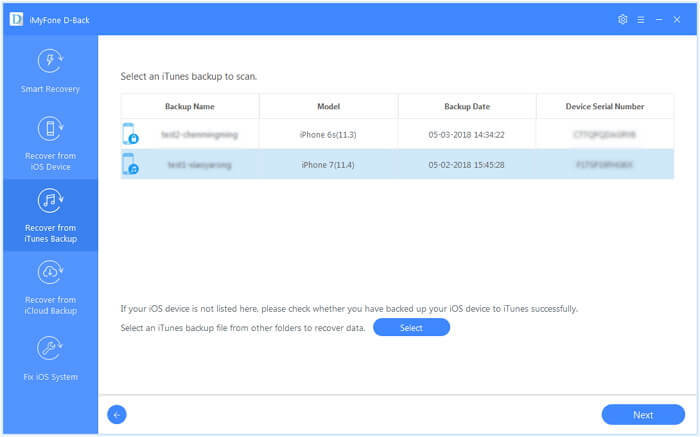 Now you get several ways to recover disappeared text messages from iPhone or iPhone backup, and they all supports iOS 12/11.3. Choose the one suits your situation most and try it. Don't forget that iMyFone D-Back also offers Free Trial version for all the Windows and Mac users.